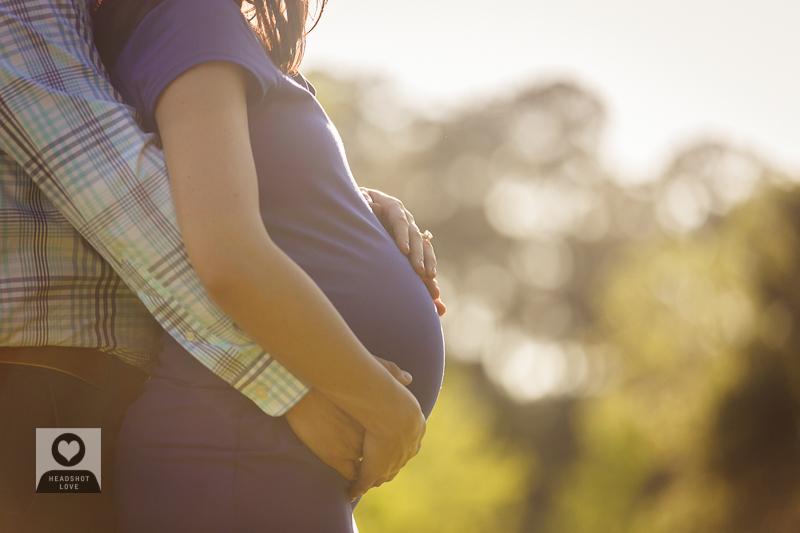 It takes 9 months for the human body to take a seed and turn it into a complete and perfect baby. 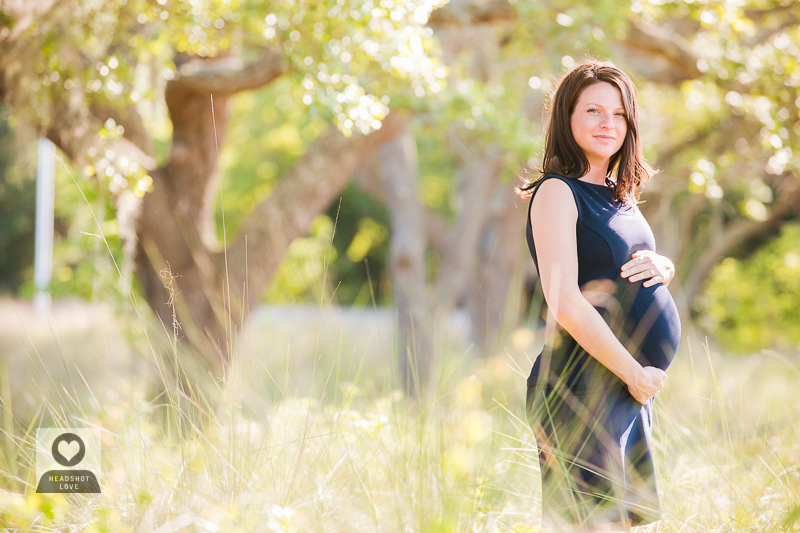 With the world-wind of changes, feelings and profound connections that get established during a pregnancy, most parents want to capture the process as often as possible. 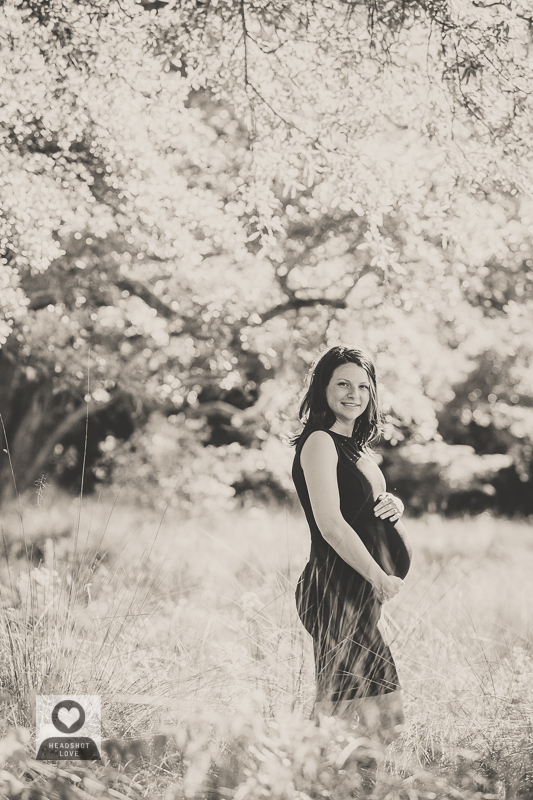 Some people like to select a professional photographer to capture this particularly powerful and intense time in their lives and so they schedule their maternity photoshoot, usually in the last trimester of their pregnancy. 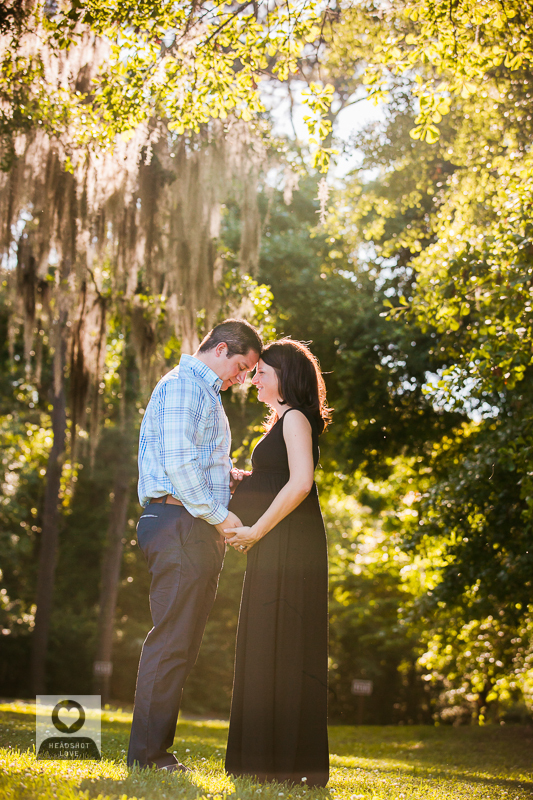 Autumn and Gary chose me for their visit to Charleston. 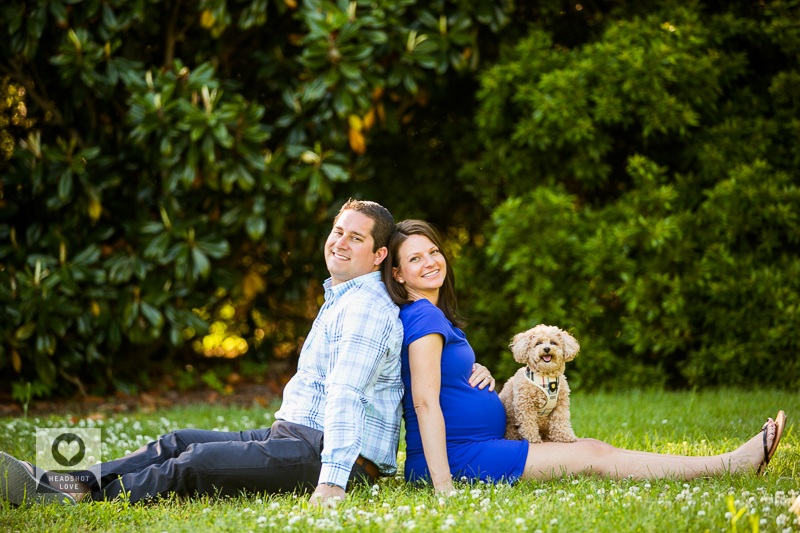 Of course their adorable puppy was a very important part of the family and needed to be present. 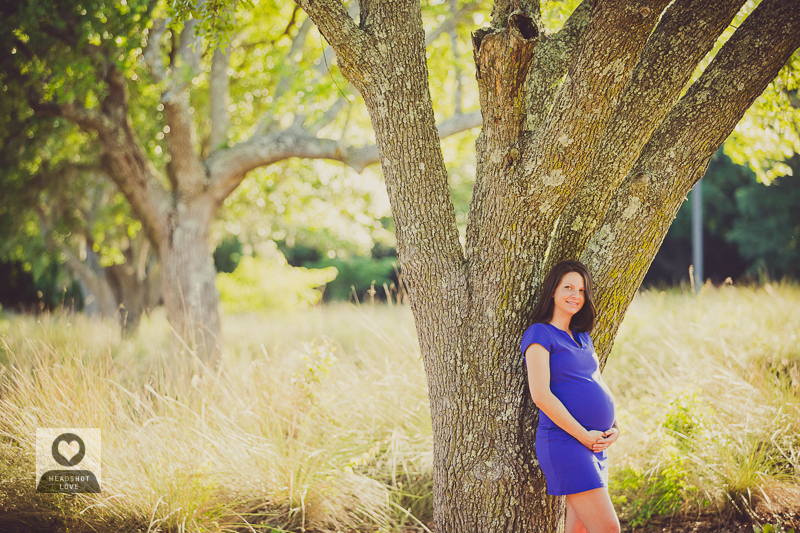 A few things I try to keep in mind with each maternity photo session is that walking usually should be kept brief for the soon to be mama, so choosing a versatile location is important. 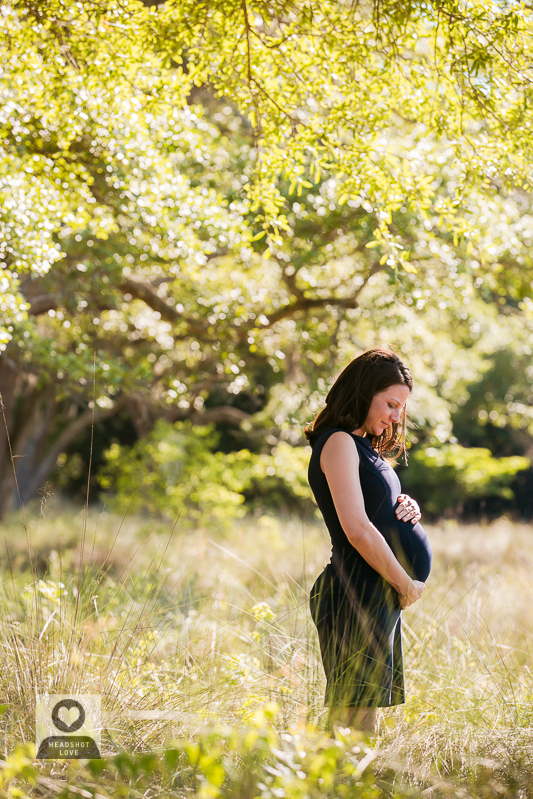 We chose the area around the Charleston Towne Landing parking lot, which has a selection of tall grasses, trees and a variety of natural settings. 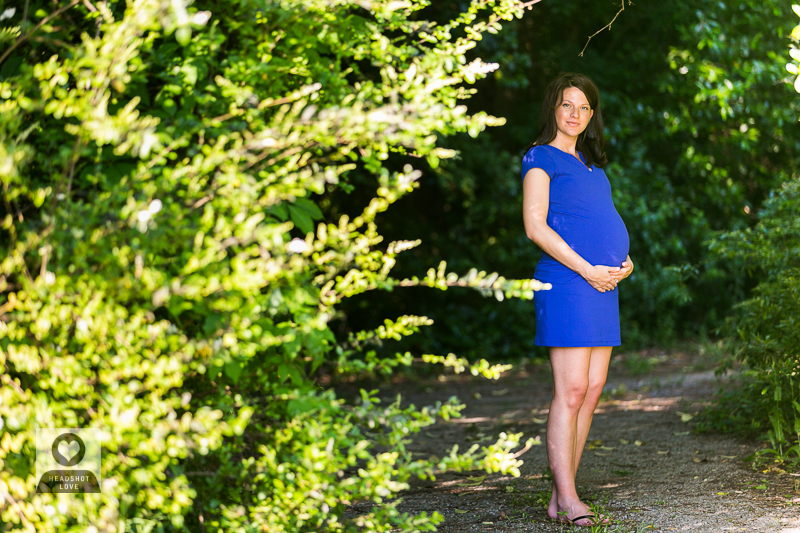 Autumn brought a couple of outfits: a long flowy black maternity dress and a short blue maternity dress which was a refreshing and welcomed change. 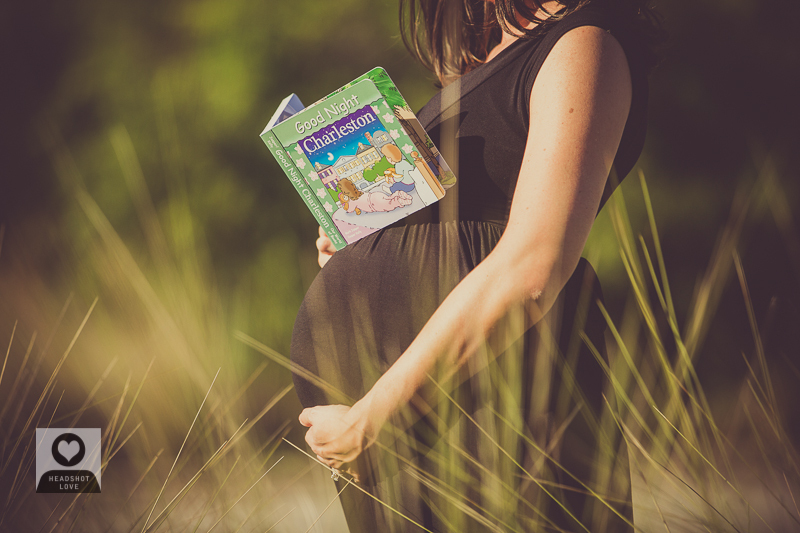 She also brought a couple of adorable maternity props like the baby boy onesie with a tie and the Good Night Charleston book. 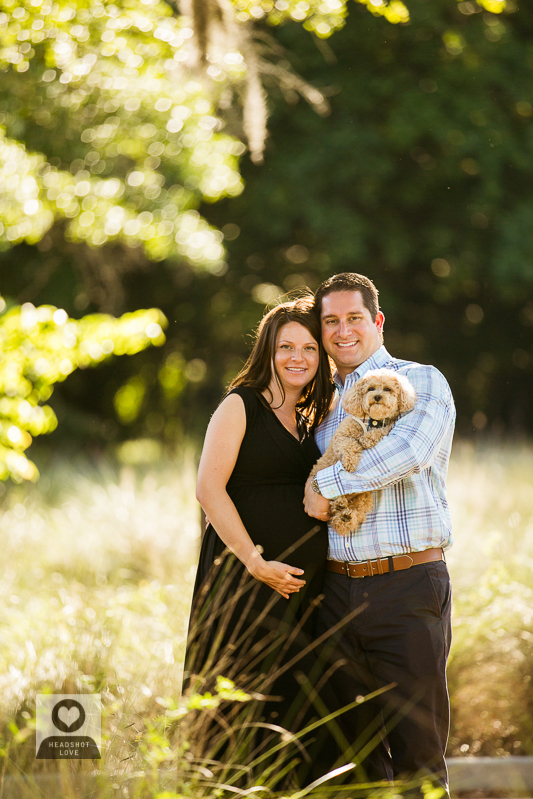 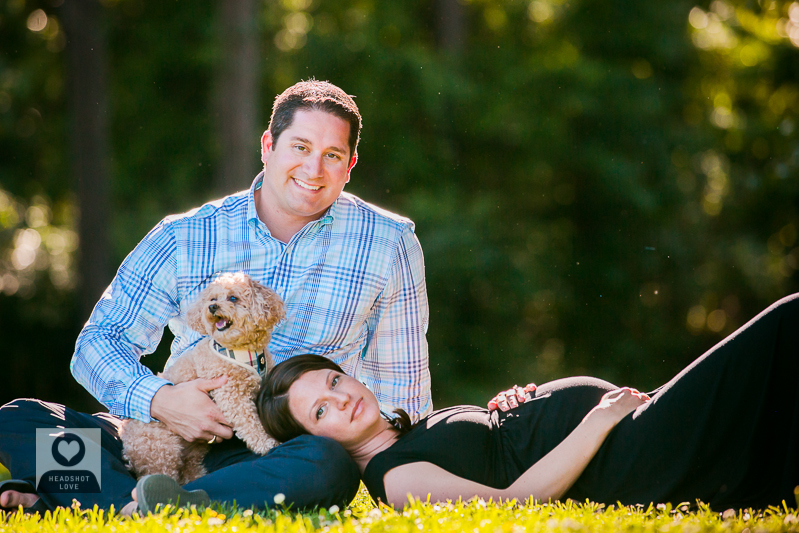 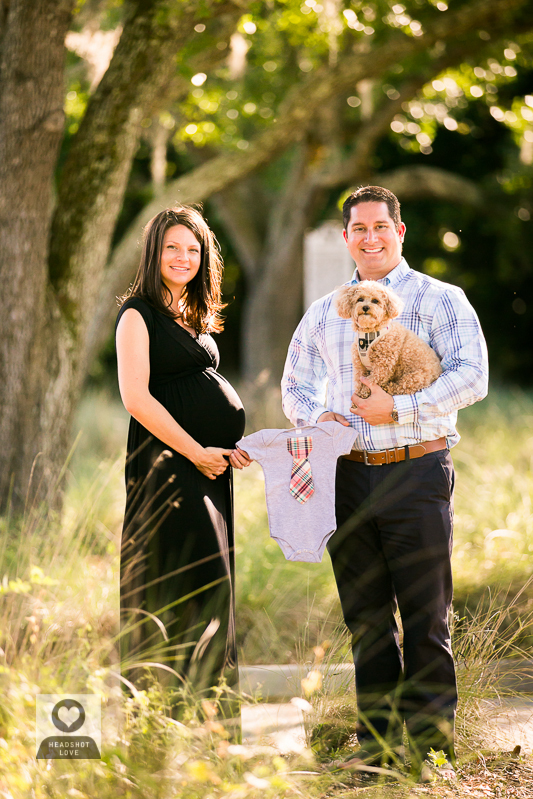 Their one hour pregnancy shoot stands out as one of my favorites, due not only to the lovely plantation natural setting but also because of the their adorable family pet addition and baby daddy support.